Chelsea are one of the clubs being mentioned as being in the running to sign James Rodriguez as Bayern Munich plan to sell him for €60million. While the Colombia international is technically still a Real Madrid player on loan at Bayern, Don Balon claim the Bavarian giants want to take up the option of signing him permanently for €42m and then sell him on for a profit. Chelsea, Liverpool and Arsenal are all mentioned as being one of the three clubs he could be set to join, though it’s not clear if any is the favourite at this moment in time. Chelsea, however, have an obvious need for a player like Rodriguez given their current situation with Eden Hazard being linked with Real Madrid. The Times claim the Blues have set a £200m asking price for their star forward as he looks for a move to the Bernabeu, while another Don Balon story has an update on his demands to join the club. There’s no doubt Rodriguez could be an ideal replacement for CFC in that attacking midfield position, even if he struggled to show his best form during his time in Spain. The 27-year-old got back to his best on loan at Bayern last season and could certainly do a job for Chelsea with his quality and skill on the ball. 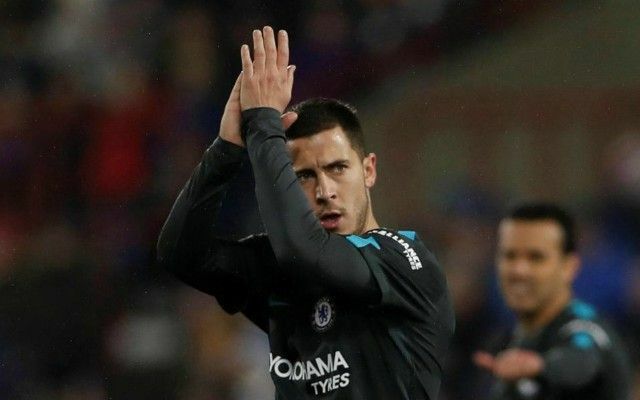 If available for just €60m as Don Balon say, that could also be a real bargain for the west Londoners if they do end up receiving as much as £200m for Hazard as the Times claim they’re demanding. Liverpool and Arsenal also have needs in attack, however, with Rodriguez a decent option to replace Philippe Coutinho at Anfield after his January move to Barcelona, with the recent signing of Xherdan Shaqiri tending to play a slightly different role. At Arsenal, Jack Wilshere has just left the club and Rodriguez could fill in in a deeper role, though he could equally do a job alongside Mesut Ozil further forward, perhaps replacing the likes of Danny Welbeck and Alex Iwobi out wide.